Humboldt county residents showed up en masse. Representatives from the Eureka business community were there. An environmental advocacy group gave a PowerPoint presentation. The meeting lasted until almost midnight. But this wasn’t a debate about Home Depot. It wasn’t a meeting about the Pacific Lumber bankruptcy or unregulated marijuana grow houses. Rather, it was a meeting of an agency that probably doesn’t even show up on most peoples’ radar: the Humboldt County Association of Governments, or HCAOG (pronounced AITCH-cog), the county’s regional transportation planning agency. It was Sept. 27, just one day before the California Department of Transportation (Caltrans) would stop accepting public comment on a draft environmental impact report that had taken it six years to produce. The report proposed four alternatives — whittled down from a dizzying 90 — for the Eureka-Arcata Route 101 Corridor Improvement Project. 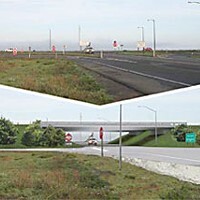 The project is designed to improve dangerous intersections on the four-mile stretch of highway. One of the options presented by Caltrans was a “no build” alternative, which the department is mandated by state environmental law to include. 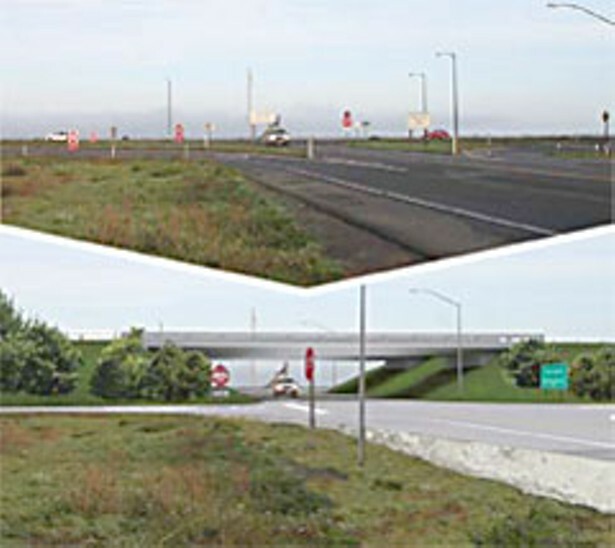 The other three, though varying slightly, all had one major common theme: The bulk of the funds for the project would be taken up by a large overpass to be built at Indianola Road. But public comment was generally in agreement that evening: People were upset that the report didn’t adequately address the real problems in the corridor. HCAOG’s Policy Advisory Committee (PAC) — made up of elected officials from the county and each of its seven incorporated cities, Humboldt Transit Authority and Caltrans — was divided as to what role it had been tapped to play that night. Was it there simply to listen or to give Caltrans some sort of mandate? At the beginning of the meeting, HCAOG Executive Director Spencer Clifton recommended that the board not endorse any of the alternatives in the report. Nonetheless, throughout the evening, various committee members made it clear which alternative their constituents favored most. County Supervisor Bonnie Neely thought she had struck on a compromise when she brought a motion to add a fifth alternative. The alternative synthesized the bulk of that evening’s public comments. It recognized the fact that the 50 mph speed limit on the corridor seems to be working. 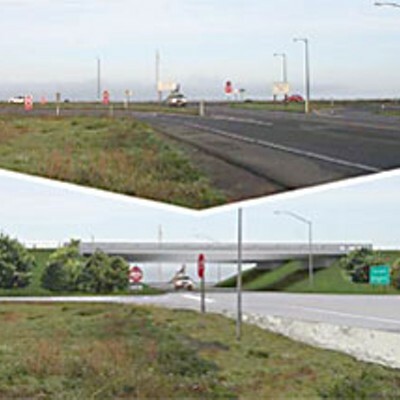 It noted the need for traffic lights at key intersections in the corridor, for the sake of businesses there and stressed the importance of incorporating multimodal transportation (a bike path and a bus rapid transit system) into the final project — something that was altogether absent from the four other alternatives. Arcata Mayor Harmony Groves seconded Neely’s motion. Eureka Mayor Virginia Bass expressed concern that Caltrans would close medians along the corridor, adversely affecting business owners there. Ferndale Mayor Jeff Farley worried that adding another alternative would slow down the project even more, which — as it stands — is slated for completion in 2013. But the general unease was over whether or not it was HCAOG’s job to actually do something at the meeting or just listen. When the motion came to a vote, five committee members were in favor and four opposed. There was a moment of confusion as it seemed that hours of public comment had been vindicated. Then Caltrans District One Director Charlie Fielder pointed out he hadn’t cast his vote yet. The ayes held their breath. Fielder, who sits at the head California’s behemoth transportation agency for northwestern California, didn’t want to throw into reverse a process that had already taken so long to complete. And besides, Caltrans was going to consider the public comment anyway — it has to, by law — regardless of whether or not there is an additional alternative. He voted no. Democracy is messy. It doesn’t always facilitate a speedy resolution, but it is a way of ensuring that the public’s interests are served. That’s why there’s a system in place that limits Caltrans’ authority: HCAOG holds the purse strings for the county’s capital projects, even those destined for highways that Caltrans owns and operates. But the Sept. 27 meeting is a case in point: HCAOG seems uncertain what role to play in designing the county’s transportation system. “We’re the regional planners on transportation and we should have comments,” Supervisor Neely said after her motion had failed. She sounded exasperated. The meeting was grinding on late into the night and other members of the board were frustrated too. “It’s up to us to put our regional comments in,” Neely reiterated. In the end, a motion was passed simply to forward public comments to Caltrans and no consensus was reached by HCAOG as to what the board would like to see in the final project, which will come back to them for approval sometime in 2008. HCAOG probably isn’t the first thing that comes to mind when you think of powerful county agencies. But the association wields an unexpected amount of behind-the-scenes authority in terms of designing and funding future county transportation projects, and commands tens of millions of dollars in resources. As it turns out, Councils of Governments (COGs) — regional associations of which HCAOG is the local example — have undergone a radical transformation over the past two decades. The COGs controls State Transportation Improvement Program (STIP) funds, which come from California fuel taxes. STIP funds — as they’re known in the Kabalistic world of transportation, where whole sentences can be strung together from acronyms alone — are distributed by COGs for capital projects in their regions. If those projects are for state highways, then the COGs effectively fund Caltrans. And money talks. But the dynamic between the COGs and Caltrans wasn’t always the same. Until 1998, the COGs were just rubber stamps for Caltrans’ projects. Then Senate Bill 45 was passed, wresting over 20 percent of Caltrans’ budget away from the state transportation agency and diverting those funds through COGs for approval first. That way, regional planning agencies “could deliver projects with a local or regional accent or flavor,” said Spencer Clifton in a recent phone interview. It was obvious from the Sept. 27 meeting that HCOAG’s staff of three, who operate out of a small office in Eureka’s Old Town, defer to Caltrans’ staff of engineers and administrators, who work out of a fortified compound on Union Street. That’s why Clifton started the meeting by recommending that the board not endorse any particular alternative that evening. When that happens, “It becomes a political step and not a technical one,” he explained later. As for Selix’s point about rural COGs having less experience overseeing projects of significant magnitude, Clifton agrees. “We don’t have a bunch of history of HCAOG telling Caltrans what to do on their highway,” he said. 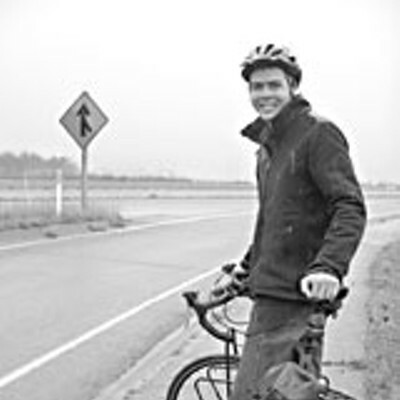 In the Bay Area, the dynamic between their regional planning agency and Caltrans is different, according to the Metropolitan Transportation Commission’s (MTC) Bicycle and Pedestrian Coordinator Sean Co, whose job it is to advocate for pedestrian and bicycle-related issues in Bay Area transportation projects. Co is usually successful at putting pressure on Caltrans. But, he admitted in a recent phone interview, it helps tremendously that MTC has a staff of 130 and an annual budget of $1.6 billion. “It’s really up to the city or county to oversee and provide a lot of input into the design process to make sure that it addresses their specific needs,” he said. Clearly that’s easier to do when your regional transportation planning agency — like Co’s — can hire someone full-time to advocate for issues specific to pedestrians and cyclists. Still, Co is optimistic that Caltrans has changed significantly from what it used to be. “They used to be an organization that said, ‘These are our standards, these are our guidelines, this is what has to happen,’ but they don’t do that anymore,” he said. One of the stakeholders at the Sept. 27 meeting that is particularly concerned about the inclusion of multimodal transportation in the 101 Project is Green Wheels, an alternative transportation advocacy group based in Arcata. The week before last, I met with Green Wheels’ executive director, Chris Rall, along with the group’s outreach director, Aaron Antrim, at Renata’s Crêperie in Arcata. Both men are young. Rall, looking a bit worse for wear, slumped down into a chair as we waited for our table. 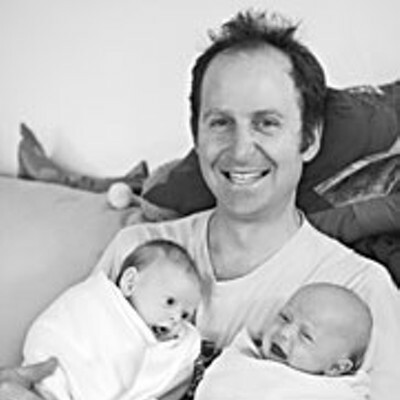 In addition to running Green Wheels — an as-of-yet unpaid position — the 36-year-old is also the father of twin newborns. Antrim, just 23, arrived a short while later, one of his pant legs rolled up, the true badge of an outreach director for a group that advocates cycling, among other modes of green transportation. Dark-haired and lanky, Antrim recently graduated from Humboldt State University with a degree in English. 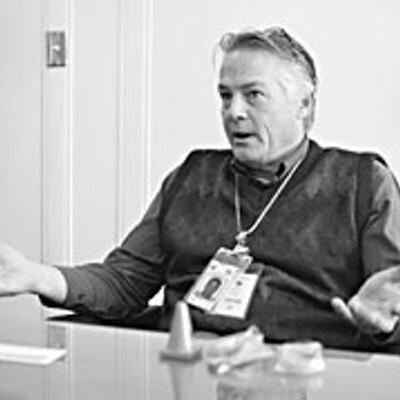 Once seated, Rall explained Green Wheels’ purpose: “Our mission,” he said “is to promote balanced and sustainable transportation.” For the 101 Project in particular, that means a bike trail connecting Eureka and Arcata and a bus rapid transit system. But how can Green Wheels get Caltrans to make the 101 Project greener? And if Caltrans doesn’t include multimodal transportation in the final project, HCAOG could choose not to fund it, Rall added. But that’s not likely to happen, according to Spencer Clifton. After Caltrans reviews the public comments for the draft environmental impact report it will begin the process of whittling down the alternatives into one “least environmentally damaging practicable alternative” (LEDPA). That’s what will end up in front of HCAOG again sometime in 2008. And if HCOAG doesn’t fund it, according to Clifton, then there’s something terribly wrong with the process itself. However, Green Wheels feels that the alternatives presented in the draft report are inadequate. Will the LEDPA, which Caltrans will come up with after consulting environmental regulatory agencies, be any better? Rall feels that in order to solve issues of safety and congestion in the corridor, multimodal transportation has to be included in the LEDPA. He pointed out that one of Caltrans’ rationales for the project is a projected 50 percent increase in traffic over the next 25 years. But that’s only likely to happen, Rall said, if you build for it. “You can create a self-fulfilling prophecy,” he said, “by building more roads and encouraging more people to drive and go to Eureka to get a burrito.” What he’d rather see is more people taking buses and riding bikes. Clifton, on the other hand, is almost positive a bike path won’t make it into the final project design. “You typically don’t throw out one project for a concept,” he said. “The corridor project was intended to improve safety [at at-grade intersections].” Anything beyond that, according to him, is beyond the purview of this particular project. Rall has a response to that. “When we talk about a safety project you have to remember that public transit is 10 times safer than driving a car,” he said. One thing is for sure, HCAOG has more authority over regional transportation planning than it seems comfortable using. But groups like Green Wheels and concerned citizens are catching on fast, and they’re hopeful that HCAOG will hold Caltrans’ feet to the fire over projects that lack local flavor. 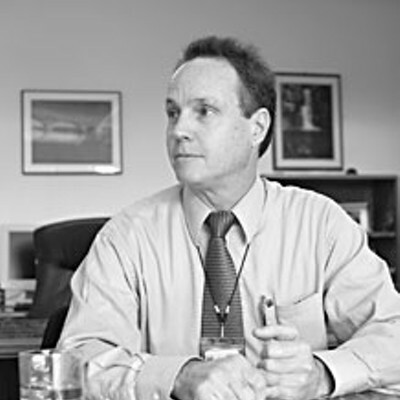 “HCAOG has historically been one of the most ignored funding agencies in Humboldt County, in that people have not historically recognized until lately the funding authority that HCAOG has,” explained Scott Kelly, chairperson of HCAOG’s Technical Advisory Committee, which vets projects before sending them to HCAOG’s board of directors for funding. When Jones first joined HCAOG she was shocked by how much money the regional planning agency distributed. “We’re talking millions of dollars,” she said. In recent years, Jones has noticed a split on the board that has divided it along geographical lines. “It’s been the north versus the south,” she said. At the Sept. 27 meeting, that description sums up the vote to a tee. Jones voted for Supervisor Bonnie Neely’s motion because the last thing she wants to see between Arcata and Eureka is a 65 mph freeway. Originally from Southern California, she moved north to get away from the sprawl. “I’ll be darned if I want to move up to Humboldt County and turn this into another Riverside,” she said. However, Spencer Clifton didn’t think it was HCAOG’s place to voice its concerns as a unified body to Caltrans at the Sept. 27 meeting. For one, the body wasn’t unified, as Jones noted. But even if the board were in a position to speak with one voice, Clifton believes that it would not be practical to get in Caltrans’ way. “We provide some funding mechanisms and prioritization processes,” Clifton explained, “but the entities have the discretion of developing their own projects.” The bottom line: It’s Caltrans’ highway, and it has the final say. Last Friday I sat down with the District One director of Caltrans, Charlie Fielder, at his office in Eureka. I had heard a lot about Caltrans’ new image. Multiple people had mentioned that Caltrans now practices “context-sensitive” design — seemingly another way of describing the “local flavor” that Clifton had mentioned. But no matter how touchy-feely Caltrans has purportedly become, its fortress on Union Street in Eureka was still a reminder of the distance between it and the public. In the foyer a security guard handed me a visitor’s badge and told me not to open any doors on my own. All doors would be opened for me by a Caltrans staff member who would accompany me at all times, he explained. And with that, I was led down a long corridor, past open doors I surreptitiously peeked through, hoping for glance of something forbidden. Director Fielder greeted me in his office. Clifton was there as well, in case my questions were HCAOG-specific. Time was limited. Fielder, with a kind, boyish face, is a very busy man. When he introduced himself I noticed a slight country drawl. We sat down at a large conference table in his austere but spacious corner office. Clifton, streaks of gray in his hair, sat across the table in a dull-colored sweater-vest. Fielder made it clear from the get-go that the relationship between Caltrans and HCAOG is collaborative, especially when it comes to the 101 Project. Clifton agreed. He also emphasized that he and his staff are members of the community, and therefore will act in the best interests of the community. Admittedly, before Senate Bill 45 was passed in 1998, designs for regional projects came out of Sacramento, but now “community input” is central to the process. Fielder and Clifton talked about the broader picture, about the jobs/housing “nexus” that needs to be created so that people go fewer miles getting from home to work and back. But isn’t Caltrans car-centric? That means developing a bus rapid transit system and building trails for pedestrians and bikes, according to Fielder. But as to whether or not these concepts will end up in the 101 Project, it’s unlikely. That’s because “adding new ideas to a project may not be in the best interest of those ideas,” Fielder said. Green Wheels might be better served if they advocated for a bike trail, separate from the 101 Project, Fielder said. “Sometimes you can get projects of that nature through a lot quicker without adding it onto something that’s much larger,” he suggested. But not all hope is lost for proponents of multimodal transportation between Arcata and Eureka. When the gap in the Hammond Trail was opened recently to cyclists, Fielder was amidst the celebrants. On an overcast day in October he told a crowd that the project — which had taken 10 years to complete — had been facilitated by the agency he runs: Caltrans, not “Car-trans,” he insisted. But former Arcata Mayor Jim Test, who served on HCAOG for many years before he left the Arcata City Council in 2002, still isn’t convinced that a Caltrans left to its own devices will necessarily act in the region’s best interests. One thing is certain: More people are coming to realize the power of HCAOG to shape the future of Humboldt’s transportation system. And Caltrans seems to be at least aware that alternative transportation is not a passing fad, but a necessity. Nonetheless, the system isn’t designed to depend on the broadmindedness of the California Department of Transportation. It’s designed to empower local governments to be active players in drawing up regional projects. That was the intention of the legislature. But whether Humboldt County has the resources to go toe-to-toe with Caltrans, or whether the will to do so is there ... those are other questions.